Dark cream raw silk crop top embellished with zardosi and sequins embroidered neckline. Paired with a matching georgette skirt. 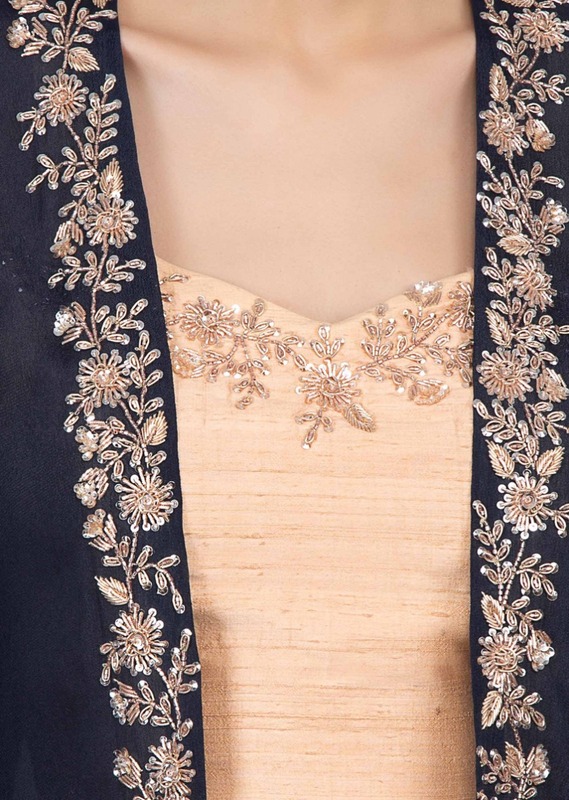 Paired with a contrasting navy blue crepe jacket with embroidered edges. Enhanced with zardosi, cut dana and sequins highlight.